Merchant flags help identify ships and who they could be with. 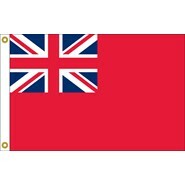 This British Red Ensign Flag is made of nylon and measures 12 x 18 inches. It is finished with white canvas heading and brass grommets. 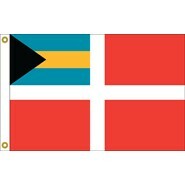 This Bahamas Merchant Flag is made of nylon and measures 12 x 18 inches. It is finished with white canvas heading and brass grommets. 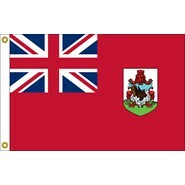 This Bermuda Merchant Flag is made of nylon and measures 12 x 18 inches. It is finished with white canvas heading and brass grommets.